This year I somehow managed to get a few more illustrations done in the spring section of the Nature Poetry book. This first page was done a while back in Three Rivers, if not in a covert then certainly in a meadow after walking over a clear stream strewn with mossy stones. And there were birds singing. 2 out of 3 spring-ish poetic allusions covered, not bad. 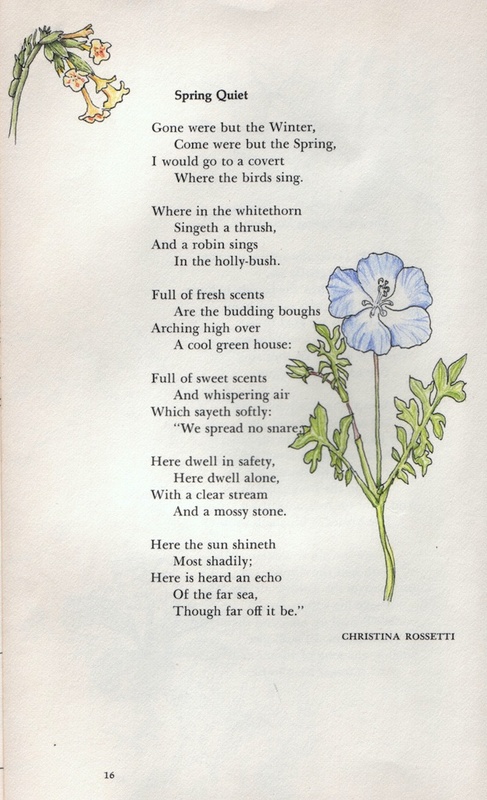 Unlike Christina Rossetti, I am averse to sitting in coverts and lingering near mossy-stone stream beds with the ticks, mites, fleas and mosquitos. Decidedly unpoetic of me, I know. The second is of our olive trees in bloom. There will not be follow-up illustrations depicting the development of the fruit since we (again, most unpoetically) sprayed the trees shortly after I finished the drawing below to prevent a crop from setting. Like most commercial orchard crops, olives grown in a backyard are not properly cared for to produce anything that will rival what a pro who knows how to control the critical variables can grow, but that doesn’t mean the crop won’t be abundant and cause no end of nastiness come fall. If you want to press olive oil, you must withhold water for 3 weeks prior to harvest. I expect some similar admonition applies if you are trying to create olives with interesting flavor profiles for curing whole. Well, the rest of your landscape would not appreciate the stress this watering strategy causes and your HOA association might call on you to make sure you are not neglecting your landscape in violation of the CC and R’s. So, no olives are to follow the bloom. Many years ago, I had an old olive tree situated between my garage and the adjacent orchard that must have been treated with just the right amount of benign neglect because come fall, the elderly Armenian ladies I didn’t even know would come knocking at my door toting buckets and asking to collect the olives from my tree. Silly me, I didn’t even think to request a lesson in the processing of olives from them back then and now, of course, they are all gone and their descendants never learned the fine art of home curing olives. There just might be a poem hiding in that situation. 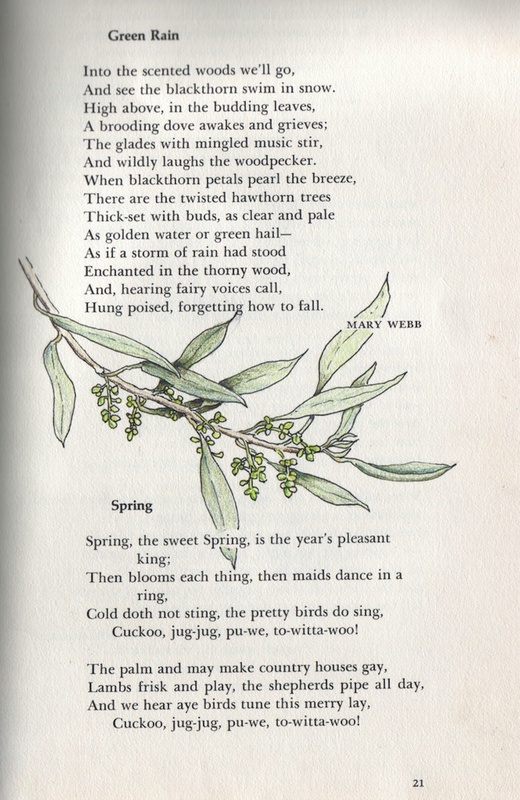 Any road, the olive drawing really belongs thematically (for me) to the poem on the facing page where it would not fit visually: In a Spring Still Not Written Of, by Robert Wallace. So, at “double nickels,” I guess I have become one of those he mentions who has time for poems that really are not written for me, sigh. Why do I refer to these illustrations I’m doing here as “cartooning?” One of my instructors in the Filoli Botanical Illustration Certificate Program refers to the linework in drawings like these as “cartoon lines” in a very dismissive way and points them out as something to avoid at all costs. That certainly doesn’t stop me from doing work in this style of colored drawing I enjoy so immensely, it only stops me from showing any of the work to them, ever again. 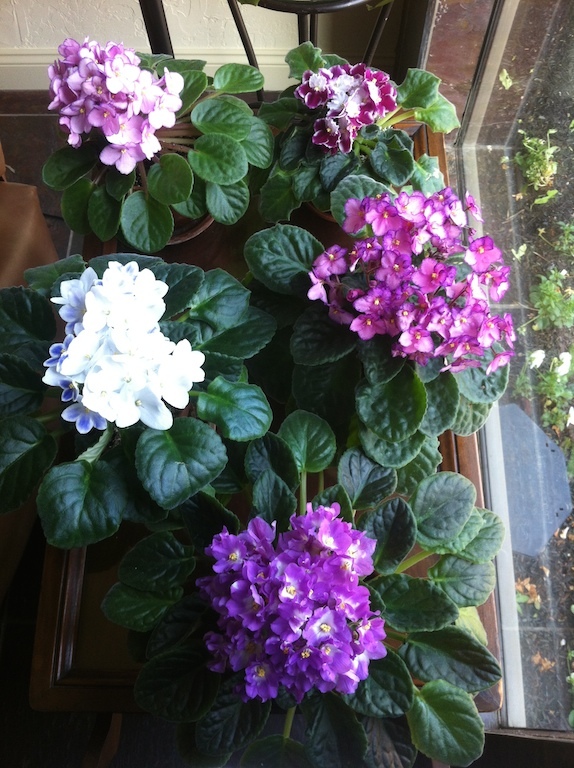 One of the requirements of any new home was that it have a place to grow violets. I guess the new house passes muster. This is the second display of this magnitude we’ve had since we moved here in February and some of these plants are still sending up new blooms stalks! 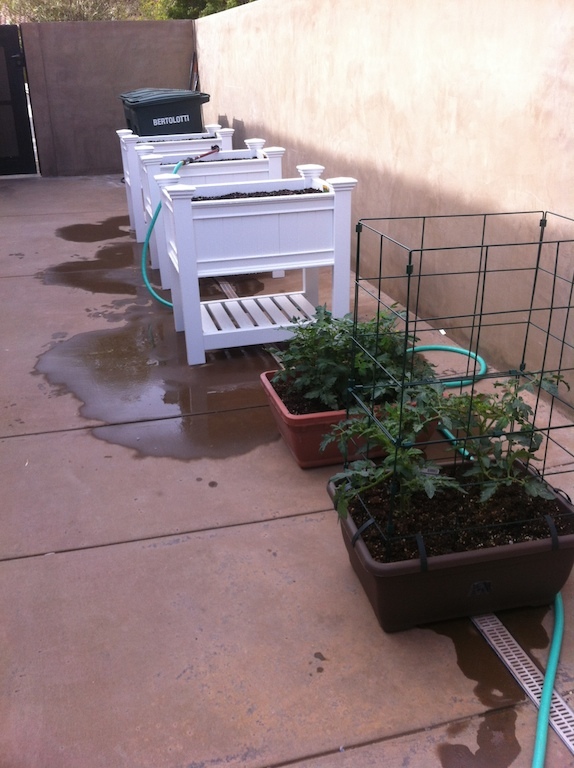 Another requirement was a place to grow tomatoes, cucumbers, green beans and zucchini. Check, check, check, check and check. As you might guess, there are a few other things to check off the list, but vegetables and violets are a very good start. We got the white raised planter boxes from New England Arbors. 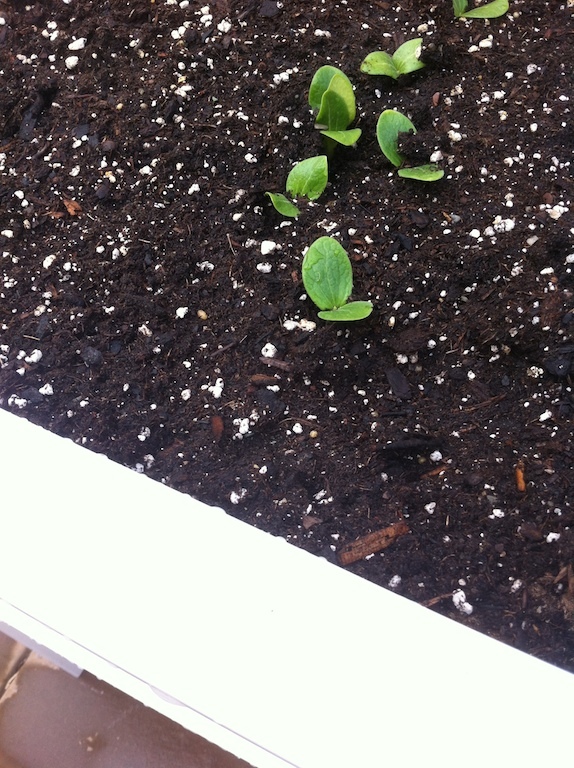 We’ll see come July how they perform for raising vegetables. We know the Tomato Boxes can raise great tomatoes because we’ve used them before. And there’s always the Farmer’s Market in case of crop failure on any front, but I do love putting vegetables on the table at noon that were still growing on the vine at half-past 11.